Y’all know I love my vegetables. Never met one I didn’t like. I love my big kale salads, stir-fried broccoli, roasted Brussels sprouts, and cauliflower in any shape or form. 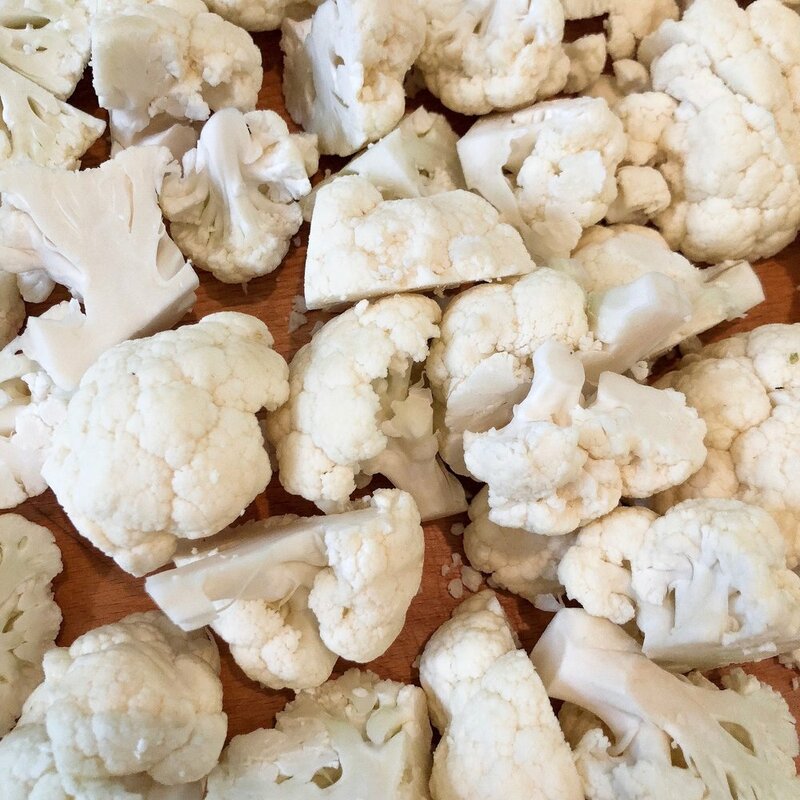 Cauliflower is so incredibly versatile and I love experimenting with it. 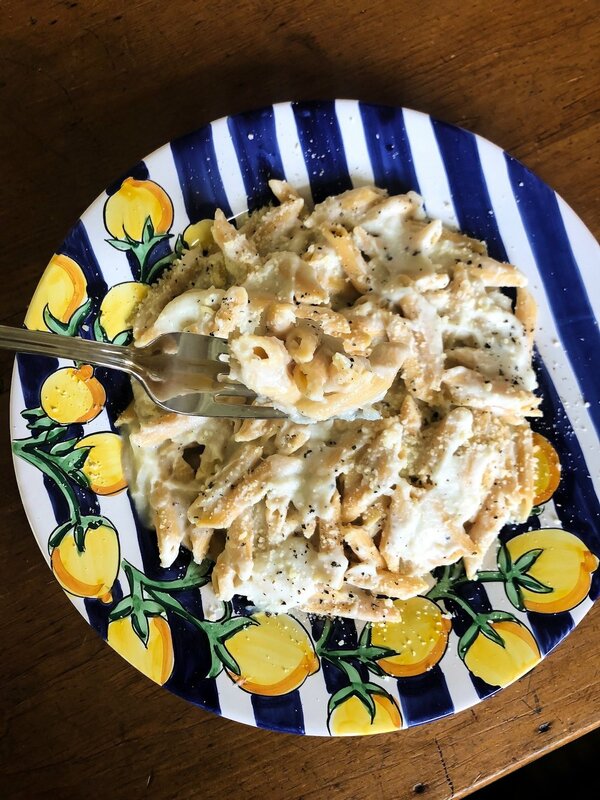 My cauliflower pizza and cauliflower fried rice recipes have been some of my most popular recipes, and now I’m excited to share a cauliflower alfredo sauce that I’ve developed. It’s creamy, rich, cheesy, and delicious. You can add chicken or shrimp if you like, or just keep it as is. I like to use lentil pasta for added protein and fiber, or I’ll just use regular pasta. This is a good one for kiddies because they’ll have no idea they’re eating vegetables. Bring a large pot of salted water to a boil. Add the cauliflower and cook at a low boil until very tender, about 20 minutes. Remove the cauliflower with a slotted spoon and set aside to drain in a colander, reserving the boiling water for the pasta. Make the sauce while the pasta cooks. In a blender, combine the cauliflower with the milk and puree until smooth. In a large skillet over medium-low heat, heat the butter and garlic until the butter melts. Add the cauliflower puree and cook for 2 minutes. Remove the garlic. Season with 1/2 teaspoon salt and 1/4 teaspoon pepper. Turn off the heat and stir in the Parmesan. Toss with pasta and serve.